Explanation: Peering through the thick, hazy atmosphere of Saturn's largest moon, an infrared camera onboard the Cassini spacecraft recorded this view of the tallest mountains ever seen on Titan. Captured during a flyby in late October, the high resolution, false-color mosaic shows a mountain range about 150 kilometers long and about 1.5 kilometers high - likened to the Sierra Nevada mountain range of the western United States, planet Earth. 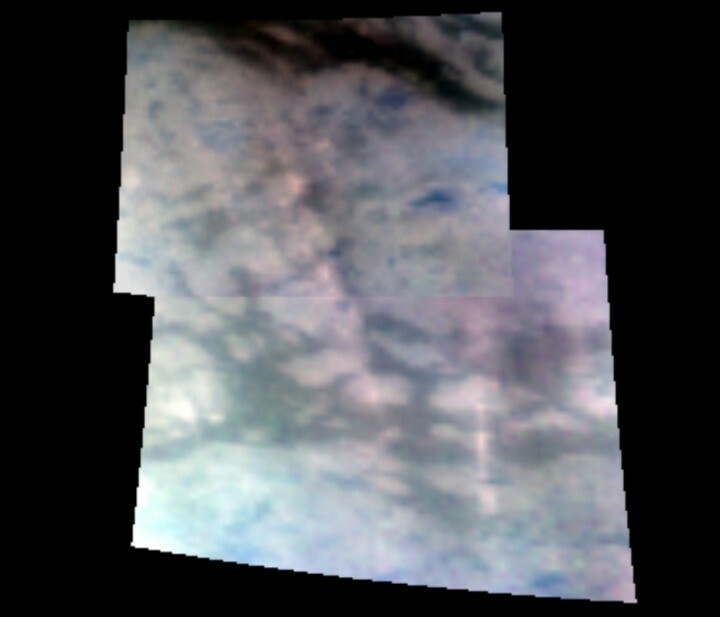 Along Titan's mountain ridges lie bright deposits, thought to be methane snow or other organic material. 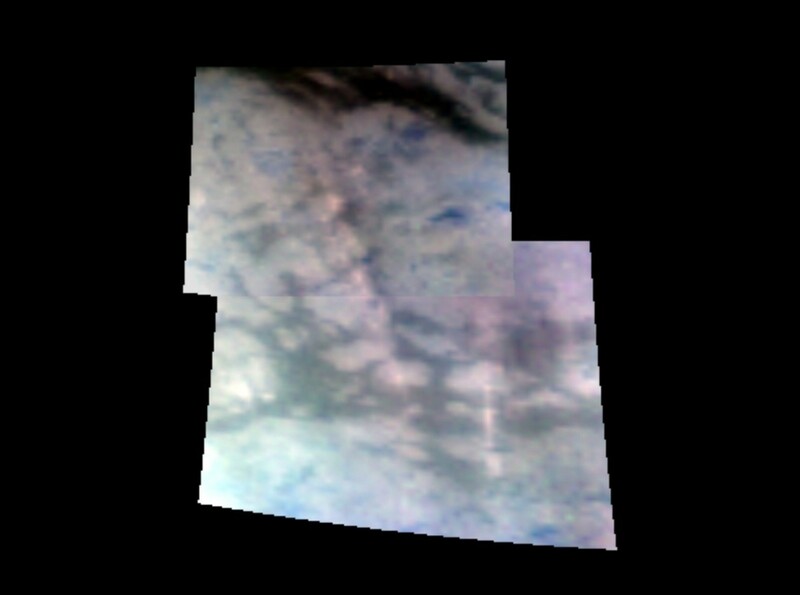 The icy mountains of Titan were probably formed like Earth's mid-ocean ridges, from material welling up to fill gaps created as surface tectonic plates spread apart.